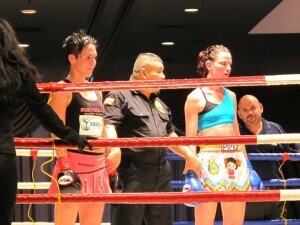 Revgear fighter Roxy "Balboa" Richardson defeated Sheree Halliday last Sunday at WMC Full Rules Muay Thai fight night. Roxy says: "It was an all out war from bell to bell for 5 rounds". Congrats, Roxy!